We check out Native Instruments' update to its Traktor DJ app, which is now cross-platform and works with iOS, Mac and PC. 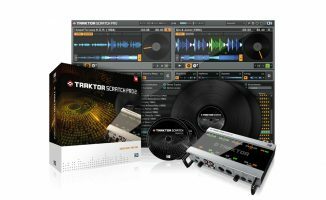 Native Instruments has announced a new cross-platform DJ app, Traktor DJ 2, with SoundCloud streaming built in. Traktor DJ 2 follows on from the company’s niche but well-regarded Traktor DJ app for iPad and iPhone, and will be available this spring for iOS, Mac and Windows, priced $9.99 (iOS) and $49 (Windows/Mac). At launch it will work with the Traktor Kontrol S2 Mk3 (so that’s what the iOS socket on the back was for…), but is also designed to be used without hardware, favouring a simple, stripped down features set and big, clear waveforms and controls. More hardware support is coming. 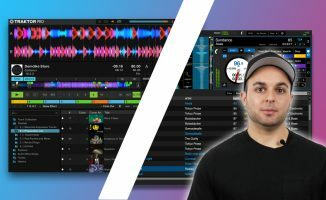 Unlike the original Traktor DJ app, this one optionally adds traditional DJ controls (thinks decks and mixer) in a parallel waveform layout that looks similar to pretty much any DJ software you can think of. Possibly confusingly for some, it also has a view that looks similar to Traktor Pro 3, with the waveforms/decks in separate boxes. At launch there is no integration of local music libraries or app-created streaming service meta-data via a cloud service across the app on different platforms. What’s the point of Traktor DJ 2? So on the face of it, a bit of a confusing move from Native Instruments – but there is method behind this. Traktor Pro 3 – the current flagship program – is big, bulky and unwieldy, and not only on the surface. 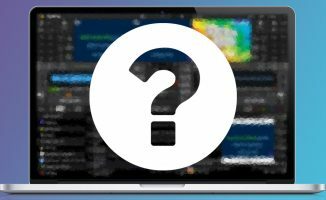 It is in need of a full rewrite from the ground up to be able to work with all the new streaming services, to be able to handle video, to work cross platform easily, and to be able to do many other things modern DJ software is expected to do. It is clear that for Native Instruments, what we’re seeing here is the start of that rewrite. Simple, beginner-friendly, intuitive, clean software, built to modern standards and fit for the future. It’s what happens in the next year or two that’ll be interesting, as Native Instruments develops the platform and adds modern features. Expect more streaming and an Android version, for example, and that’s just the start. One day, this will be the successor to Traktor Pro 3. • Traktor DJ 2 will be available in the spring. 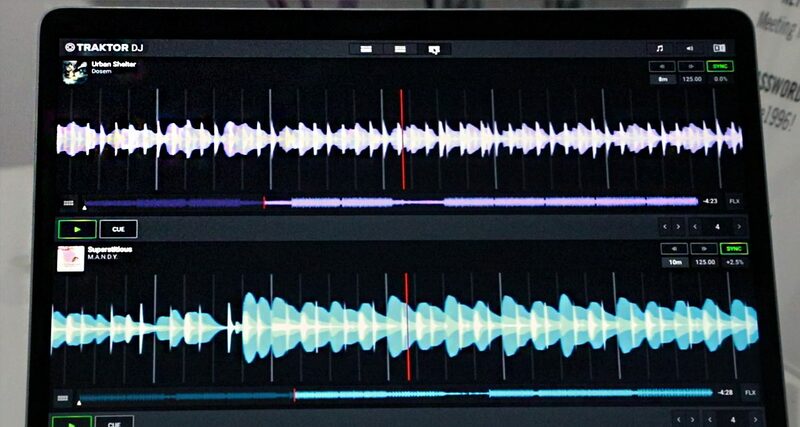 What are your thoughts on this update to Traktor DJ? Liking the new look? Let us know in the comments. Whilst I commend them for starting from a (hopefully) strong and thoroughly modern foundation.. this feels a little behind where they should be with this. The 2-3 year hibernation really damaged their prospects. iOS-wise, Algoriddim Djay is similar but fully featured. Denon is already embedded, on the market, and eating their dinner. Development-wise they’re always gonna have about 18 months on them. If Denon can knuckle down, address their flaws and turn them into strengths well before Traktor Embedded makes it to market then it’s going be tough for NI. As an avid fan of TraktorDJ, it is great to see NI finally breathing new life into the app. Kudos to Phil for a first hand look at it. I think what most of us wanted was a new Traktor that had the same functionality as the old, but with new functions like flexible beatgridding and music streaming added to it. What were getting is old Traktor with new waveforms and views. And a second Djay-like software companion. 12” records on other DJ apps to take them seriously, (although TDJ2 has the same, you can at least switch views)! NI is in a great position to develop and encourage different DJing styles. What bugs me is that they only make it compatible with S2 mk3 and not a S4 Why? i think if you made it work with all your own hardware from the get go you will get more uptake of the eco system. but i feel as a catastrophe that the current S2/S4mk2 user (which works with TDJ1) may get lost if the TDJ1 disappears from app store because TDJ2. So we can only hope that they add old mk2 before TDJ1 sunset. Will there be support for the Z1 and X1 , X1 mk2?